There are golf shoes great for one of those “stroll in the park” rounds when the birds are singing, the sun is shining and all is right with the world. And then there are those rounds when the weather isn’t so great and in fact may be downright nasty. It’s for rounds like that you need some serious equipment including shoes that can handle the elements such as the Nike Lunar Bandon. 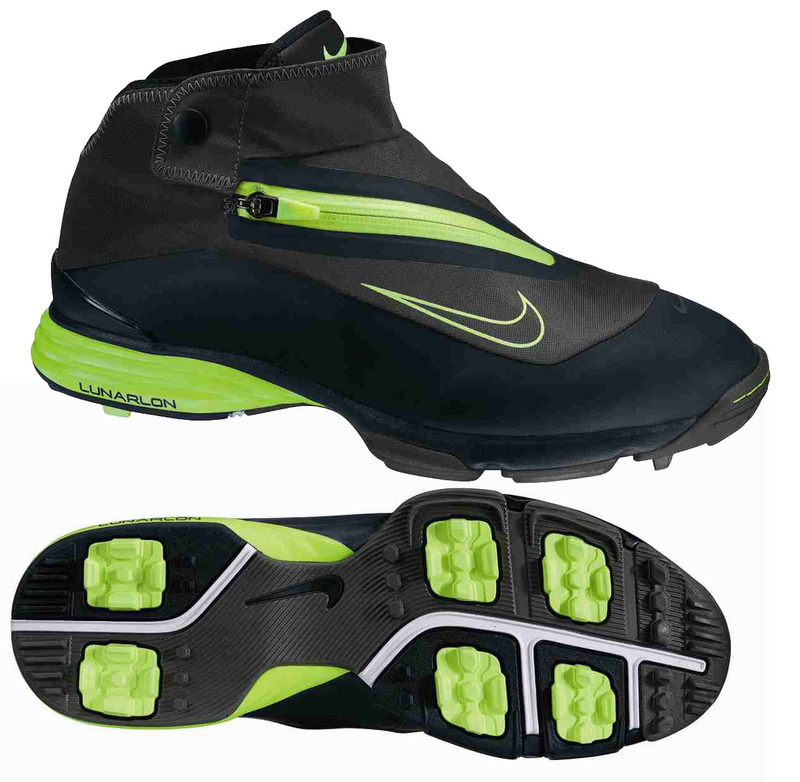 Nike calls them the ultimate in mudders and they are designed to handle the worst, a distinctive update of the original Bandon model. Lunar Bandons are flexible, lightweight and comfortable- keeping feet warm and dry with a higher silhouette than regular golf shoes to fir under the cuffs of rain pants for real protection. Nike Lunar Bandon will be available the first of October with an anticipated street price of $139.99.